If you are not familiar with how a Twitter Party works, we are here to help! 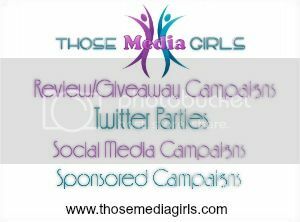 Twitter parties are fun, informative, interactive and fast-paced. They have to be timed perfectly, and this is where we come in! What is a Twitter Party? Twitter parties are extremely popular and a very effective way of promoting your brand and its products, as attendees participate and actually learn about your brand. Hosts (in this case Melissa and I), as well as two panelists (which we handle), run an hour-long party and offer prizes from your company every 10-15 minutes or so. There will be a prize for each question asked of the attendees during the party, about your company and/or product. There is a larger grand prize at the end of the party. Before the party: We write a Twitter Party RSVP post, and promote these posts on Twitter and Facebook, encouraging people to rsvp. We will create the timeline for the party, compose questions to ask, and any other information you would like to share about your products throughout the hour. A hashtag will be created for the party (if you have one you’d like to use, just let us know – otherwise we would be happy to create one for you!). Party-goers will use this hashtag in every tweet they send during the party. Not only do the attendees see each others tweets, but ALL of their followers will also see the tweets and the hashtag, effectively familiarizing your brand/product with thousands and thousands of people. During the party: We will ask one question at a time via tweets (an example would be ” Q1 – How do you think ______ (your product) would benefit you?”. Then we (and our panelists who will help to keep the conversation going) will reply to their answers. We will also tweet important information and facts about your company and product in between the questions (example: “Did you know that ________ contains no chemicals or preservatives?”). We would share pertinent information on all of your products, or a specific product that you would like to promote. We would then pick our first winner and notify them via Twitter direct message. Then the same would happen for Question Two. As mentioned above, Twitter parties are very fast-paced, but it is really fun to get people talking and they will remember your name when they are shopping online and offline. Sometimes Twitter parties even “trend” – if you look at the home page of Twitter, to the left you will see a list of 10 or so hashtags. These are the most popular and are considered to be “trending”. Of course, we encourage and welcome a representative from your company to attend the party to answer any questions, etc. At the conclusion of the party, we will send you a list of the winner’s addresses and you will ship the prizes to them directly. We will also send you a final report with important details about the party (stats, etc.). Twitter parties take a lot of preparation to ensure that they run smoothly, but we will handle it all for you!